Apple debuts Apple Arcade, World's first game subscription service. 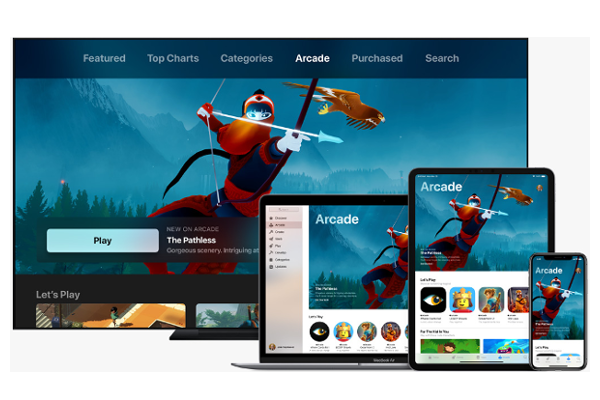 Apple today announced Apple Arcade, the world's first game subscription service that will feature over 100 new and exclusive games, including original releases from renowned creators Hironobu Sakaguchi, Ken Wong, Will Wright and dozens more. The App Store is the most successful gaming platform with nearly 300,000 free and paid games. Free games, supported by advertising or in-app purchases, are enjoyed by hundreds of millions of players around the world. Paid games are often critically acclaimed and beloved by the people who play them, but competing with free is hard, so even the best of these games have only reached a smaller audience. With the simplicity of a single subscription, Apple Arcade will bring games like these to the App Store's more than 1 billion gaming customers. Apple Arcade is the perfect complement to the already enormously popular catalog of free games on the App Store, making iOS the premier gaming platform for players of all ages. Apple Arcade games will redefine games and be curated based on originality, quality, creativity, fun and their appeal to players of all ages. Apple Arcade will give customers the freedom to try any game from its handpicked collection of titles that are all-you-can-play, have no ads, ad tracking or additional purchases.